If you've been playing with the idea of buying Danzig's house but have been looking for just the right handwear to go with your new digs, have we ever got news for you. Right now, you can buy a pair of hand-painted skeleton gloves once owned by Glenn Danzig himself — but you will need to pony up at least $10,000 for the things. As Dangerous Minds points out, an online auction has been launched for the Danzig gloves by punk memorabilia dealer Ryan Richardson. 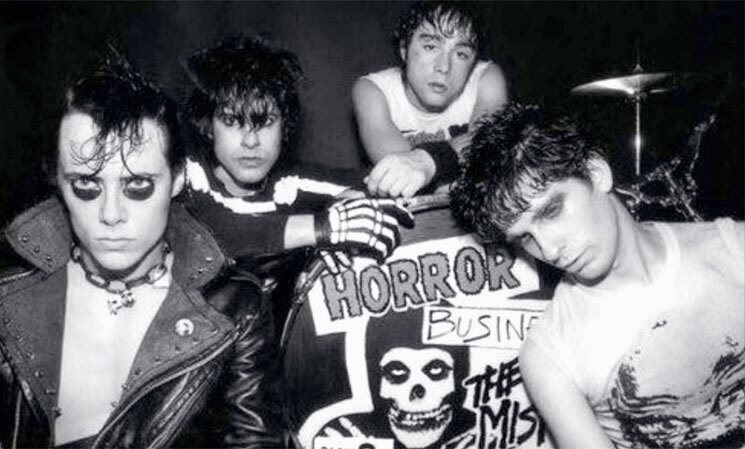 According to the auction's description, the gloves were worn by Danzig right as he was transitioning from the initial end of the the Misfits to his run with Samhain. Of the many amazing items I've handled over years, few — if any — have approached this mindblowing level: Glenn Danzig's hand-painted gloves marking the end of the Misfits era and the beginning of the Samhain era. While their importance to Danzig's legacy is significant, their importance as an artifact of Austin punk history goes even deeper. Gifted by Glenn in person to the original owner (a musician and artist you will certainly recognize) on September 23, 1984. Guaranteed authentic. Full history and signed provenance statement will be provided to the winning bidder. A once-in-a-lifetime opportunity! To get your hands into these gloves of evil, though, it's not going to be cheap. The starting bid on the auction is $10,000 USD. But considering the sad state of Danzig's house, these might actually hold their value better over time. You can bid on the auction over here and check out a photo of the gloves down below.